God Eater is an action role-playing game series that started on February 4, 2010, for the PlayStation Portable. It was developed by Shift and published by Bandai Namco. The Franchise has 3 Main Titles to date and 6 games in total including the remakes or improved versions of previous titles. 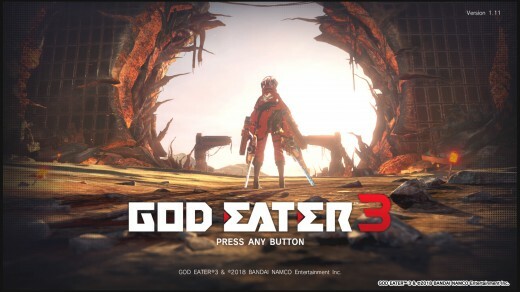 God Eater 3 is the latest installment to the video game franchise series following the latest previous title God Eater Resurrection, which was a remake of a revamped title (God Eater Rage Burst). This latest game title has the best mechanics of all the titles to date, bringing elements from previous titles and adding additional features and further improving the gameplay experience. The game takes places around the year 2075 or later, given that the first title was set in 2071 and the sequel took place 3 years after. Different types of monsters known as Aragami, in general, are still crawling on the Earth and devouring its resources. The Aragami are a race of vicious creatures made of a cluster of “Oracle Cells”, single-celled organisms that can consume anything and take on its attributes. Only individuals known as God Eaters are capable of destroying these adversaries. 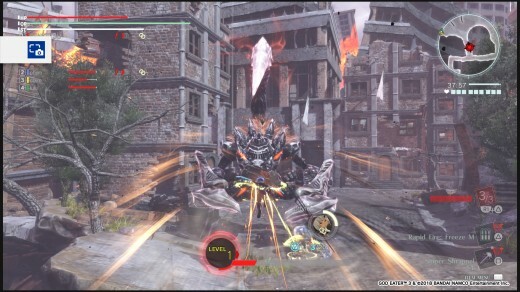 God Eaters are individuals equipped with God Arcs which was invented by Fenrir to battle Aragami. Everything changed when Ashlands arose, which was an event that devoured Fenrir and other branches that turned everything into ash, Ash Aragami was born, which was a new type of Aragami that was more powerful and could enter a Burst State. Due to this phenomenon, civilization was built underground and a new type of God Eater was created known as AGE – Adaptive God Eaters. AGEs had new features, being resistant to ash and having more arsenal. However, due to AGEs function and power, AGEs are considered dangerous and are not allowed their freedom and are monitored closely by their respective branch owners. The latest title remains faithful to game franchise gameplay experience, keeping old formulas while improving the system and providing additional features. 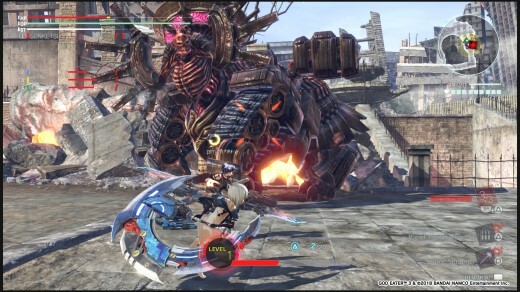 God Eater 3 is an action role-playing game which features different weapons known as God Arc wielded by individuals known as God Eaters. 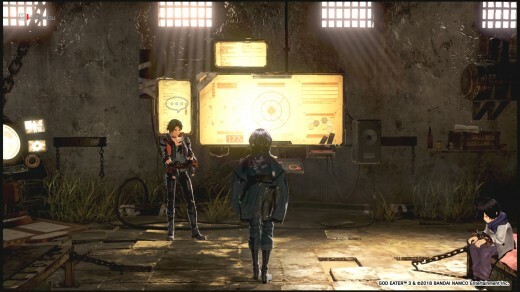 Most of the gameplay involves players gathered at the Caravan, which is a mobile fortress, and missions are undertaken at the Bridge and are given by Amy at the reception. These Missions involve God Eaters to hunt down different types of Aragami and are classified into ranks according to their difficulty. Missions are classified in general by Standard and Assault Missions. 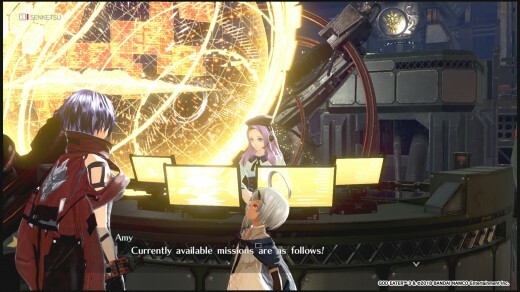 Standard Missions contain 2 types in general: Optional and Story, which basically what it is. Assault Missions, on the other hand, partake online where you can play in Multiplayer mode. Missions are often executed by a team with a maximum of four members just like in previous titles. Combining allies and forming a formidable team with diverse roles is one of the keys in successful missions. 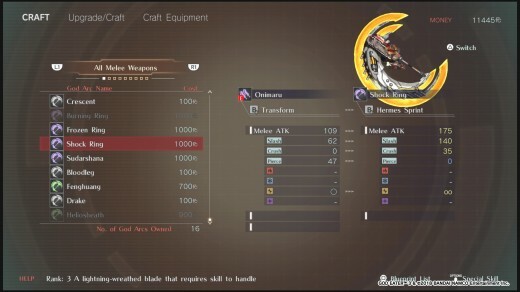 The weapons wielded by God Eaters known as God Arcs have different types and capabilities. Devour system is one of the main signatures of the franchise. 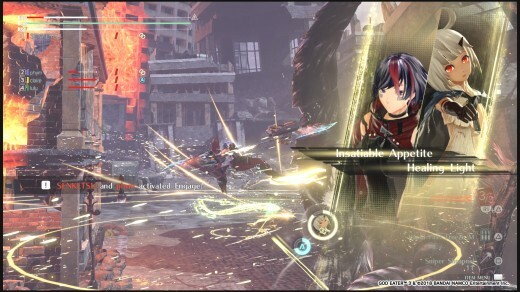 It involves the God Arcs transforming into a monster-like mouth that bites on Aragami which causes players to enter in Burst mode, which basically is an overall buff giving increased speed, stamina, and attack power. 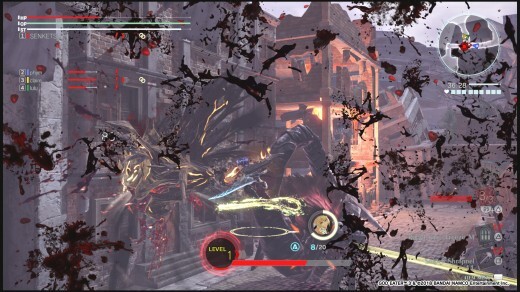 In addition, the Devour system is also used to harvest materials from incapacitated Aragami. God Arcs, in general, have three forms that can transform at will on combat namely: Blade, Shield, and Gun. There are a lot of Blade types in the game and are the main source of attacking option, the variety gives players diversity and adjusts to most types of play style or strategy. The Shield form is basically a means of blocking, there are only limited shield types, but effects may vary widely depending on the equipment crafting. The Gun form is probably one of the most complex features of a God Arc. Although there are only a few types of Gun, what makes this feature complex is actually the ammunition involved. The Bullet Customization lets players make their custom bullet recipes that may have different effects, damage, and function. Bullet Customization or crafting was implemented even way back from the first title. This feature is both a pleasure and a pain, but once you get the hang of it, it is literally a blast experimenting and creating your own bullets. New features are also introduced, specifically, the Heavy Moon and the Biting Edge. The Heavy Moon is a curved edged shaped like a Crescent Moon in its normal form which provides circular heavy motion swings with relatively fast speed and can transform into a heavy battle-ax by doing a special attack that causes stamina usage. The Biting Edge is a set of dual short blades which provides fast-paced short attacks. It also transforms into a double-edged glaive when using a stamina special attack. The glaive form delivers blows that cause significant damage and stylish combos. Aside from new weapon types, there are some more notable new features in terms of battle mechanics particularly: Dive and Burst Arts. 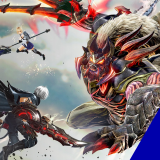 Dive, which is basically a plunge, dash, or a dive attack, lets players dash towards a specific direction or a targeted Aragami for a minimal amount of stamina. This attack is quite handy when chasing down enemies or opening up an aerial combo. Burst Arts are attacks that can only be executed in Burst mode state. These are powerful attacks that can also be equipped with Burst Art Effects for additional damage or function. New abilities and passive skills and mechanics are also introduced namely: Burst Arts Plug-ins, Skills Install, and Acceleration Trigger. These three features all activate during Burst Mode and on certain conditions depending on the skill itself. These features provide different effects and buffs. Another notable passive, at the same time an active skill is the Engage feature. 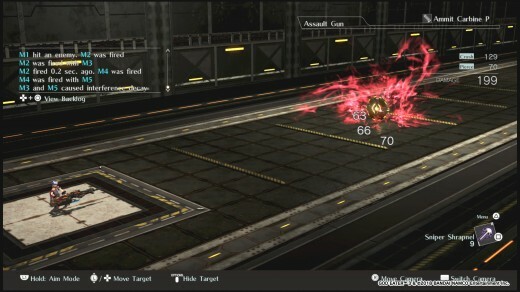 Engage basically gives two players buff at the same time also sharing Acceleration triggers, it involves a link between God Eaters that is represented as Engage Gauge which is filled over time enabling to do an Engage command. 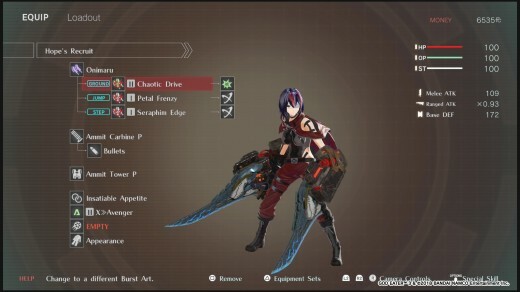 Aside from Bullet customization; Blades, Shields, and Outfits crafting is also a staple feature in the game franchise. Materials for different recipes are salvaged from the battlefield and are also harvested on defeated Aragami. 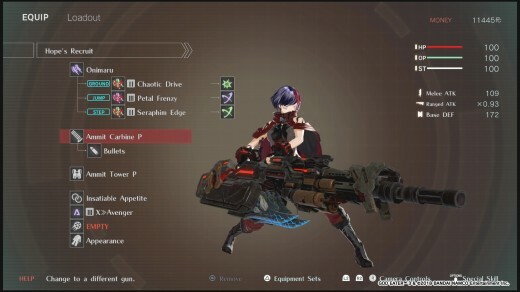 Different Weapon recipes are rewarded from missions and are useful to players as they progress through higher mission ranks. 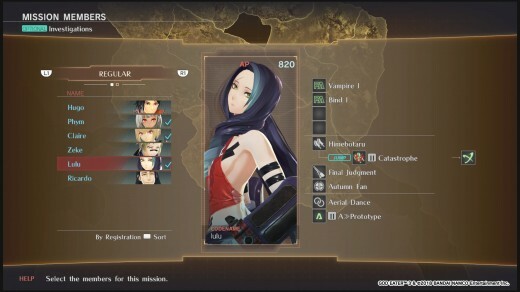 God Eater would not be the same without character customization. 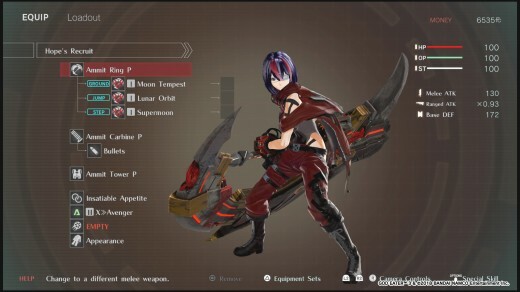 Like in previous titles, Character Customization lets players create their own God Eaters to their liking given different options of Name and Codename, Gender, Hairstyle, Face, Skin type, 2 accessories, voice type, and a set of clothes. The range of choices in design is quite enjoyable although have a limited amount. After deciding on the character design, players are only allowed to change hairstyle, clothes, and accessories in the game. 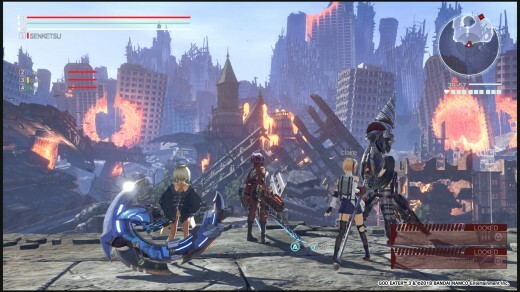 The Art style and direction of God Eater is like a combination of Anime and monster hunting RPG. The Designs of both the God Arcs and Aragami never fails to captivate and intrigue players at the same time. 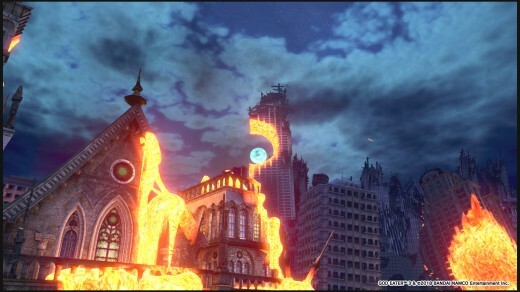 The environment setting of different missions also compliments the apocalyptic feel of the game. In terms of Gameplay Experience and Battle Mechanics, God Eater 3 is certainly the best one throughout the series so far. Missions and Aragami Battles are fluid in execution, and the additional features work well without a hitch. Executing combos, dodging, exploring, and maneuvering around levels all feels natural. 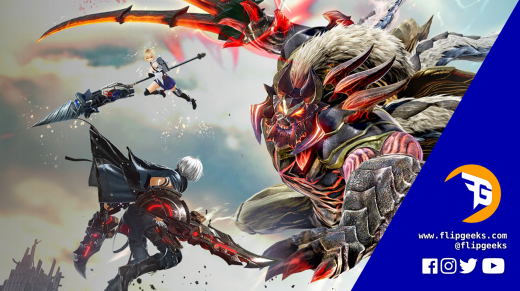 God Eater 3 stayed true to the franchise and further improve since the previous title. Coming from a God Eater fan, I thoroughly enjoyed this game even for just a decent amount of time playing it. It certainly is the best one from the series so far. The new features work really well and make the game even more interesting and fun to play. 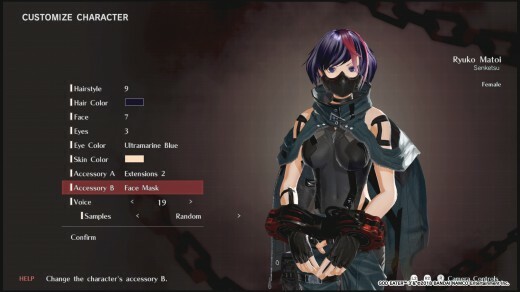 Although there are a few things I miss that are present in the previous titles namely: the Aragami Bullets, and the more design options for Character customization. The Game might get repetitive at times, but that goes often for these type of games, it is still fun to play and get back to once in a while after taking a break. Even with its repetitiveness, I can still get invested in it for the long run, both for the story and crafting powerful weapons and equipment. The battles are never a bore, and the animations are just beautiful. If you are a fan of Hack and slash, Action RPGs, monster hunting, and anime, this is a must. Artist | Illustrator | Gamer . Yo! I'm a passionate Artist and Illustrator who loves playing video games and making art. Architecture has never left my being as well after graduating and dealing with it for more than 7 years.